Emplicity Awarded Certification by IRS, Provides Further Assurance to Clients and Their Employees. Emplicity, A Privately Held Professional Employer Organization (PEO) Based in California, Receives IRS Certification. 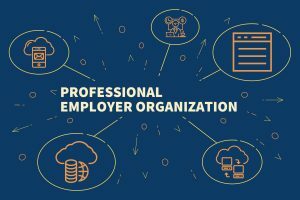 175,000 businesses use a Professional Employer Organization (PEO) to administer benefits, human resources compliance and process payroll and employment taxes for their employees. But what happens if a PEO doesn’t file its clients’ payroll taxes properly? This ongoing concern for small businesses has found a solution through decades of self-regulation efforts by its industry association, the National Association of PEO’s. On December 29, 2014, President Obama signed the Tax Increase Prevention Act of 2014, which included the Small Business Efficiency Act (SBEA), creating a voluntary certification program in 2017 with the Internal Revenue Service (IRS) for PEOs. Dubbing these services providers under a new moniker, “Certified” Professional Employer Organizations (CPEOs), the IRS promises to keep tabs on those willing to follow strict financial standards. In exchange, the IRS will provide some distinct tax advantages and assurances to business clients of a CPEO. Sole Liability for Employment Taxes: Until the enactment of IRS Certification, business clients were held liable for the payment of employment taxes even when they paid the taxes to the PEO or employee leasing provider. To provide clarity and assurance about this potential catastrophe, the provisions in Secs. 3511 and 7705 of the Tax Increase Prevention Act of 2014, P.L. 113-295 allow Emplicity as a CPEO to be solely liable for payroll taxes on wages it pays to its clients’ employees. If your PEO is not certified, it’s possible that you’ll be held liable to pay your federal taxes twice (likely with penalties and interest) despite paying your PEO. No Wage-Base Restart: Beginning or ending a PEO relationship mid-year can trigger a double tax payment for companies. With Emplicity as your CPEO, the federal taxes paid on the your current federal employer identification number (FEIN) carry over and are credited to your account. Employer taxes such as Social Security and federal unemployment insurance have a limit based on the accrued annual earnings of an employee during a calendar year. So, if you start with us in the middle of the calendar year, Emplicity as the CPEO becomes a successor, preventing you and your employees from having to pay these taxes twice. Tax Credits: Federal tax credit programs are not impacted when an employer contracts with a CPEO. In addition, Emplicity’s tax professionals can even assist you in applying for additional tax credits you may be eligible for. Peace of Mind: Though selecting the right vendor is an important decision, selecting the right PEO has serious financial and tax implications. Ultimately, certification assures that the trust you place in Emplicity is verified by the very agency that would otherwise come knocking at your door—the Internal Revenue Service. How Did Emplicity Achieve CPEO Status? Annual verification to confirm suitability and continued validity with the IRS. The IRS does not endorse any particular certified professional employer organization. For more information about certified professional employer organizations please visit www.IRS.gov. About Emplicity: Since 1995, Emplicity has provided a smarter, more secure, and integrated platform of employer services to its 300 business clients and their 8,500 employees. As a Professional Employer Organization, or PEO, the California-based HR outsourcing firm simplifies the compliance, administration, and support businesses need in the areas of employee benefits, payroll, and human resources technology. For more information about us, visit www.emplicity.com or call us at 877-HRMADEZ. We’d love to make your employee management more simple—and secure. NOTICE: Emplicity provides HR advice and recommendations. Information provided by Emplicity is not intended as a substitute for employment law counsel. At no time will Emplicity have the authority or right to make decisions on behalf of its clients.